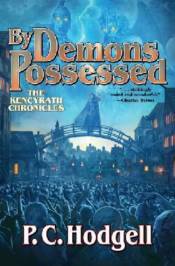 A crucial moment draws nigh leading to the ultimate showdown between Jame Knorth and Perimal Darkling, the supernatural entity that has pursued Jame�s people, the Kencyr, across multiple universes, destroying all in its wake. Can the Kencyr finally make an effective stand, or will another world fall into shadow? But now news arrives from Tai-tastigon, the vast city that formed Jame into the master thief, wily fighter, and godling-in-the-making that she has become. It seems something is preying on the gods of Tai-tastigon. The new Pantheon is falling, and the ancient city is in turmoil. The self-serving, beguiling demi-god leader of the Thieves Guild has coerced Jame into finding the soul of his missing brother by holding hostage people she loves. Jame She reluctantly returns to find a Tai-tastigon in turmoil, with citizen pitted against citizen, and day and night-time folk at one another�s throats. It seems many in the vast Lower Town have lost their shadows�not so funny when you realize that a shadow is cast by a soul. Some of the affected have gone mad. Some wander like ravening wraiths, attacking even family members by tooth and nail. Which means something is taking�or destroying�souls in the city. What�s more, in the city�s Temple District fearful gods are finding their very beings drained. Some have become so diminished they hide in the robes of their priests like mewling babes. Across the city, murder and mayhem have erupted. But whatever demon-wrought madness is afoot in Tai-tastigon will have to face the ultimate avatar of god That-Which-Destroys Itself. That would be one Jame Knorth. WHERE JAME KNORTH GOES, CHAOS WILL FOLLOW!